Other Products by Inner Armour. Search other Amino Acids products. Inner Armour Glutamine utilises Ajipure L-Glutamine Allpure Pharmaceutical grade. 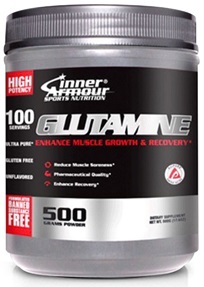 Glutamine has a positive anticatabolic role preventing muscle tissue breakdown. Supplementation with Inner Armour Glutamine assists an anabolic environment, aids recovery and supports muscle growth and strength while enhancing immune system function. During times of intense physical activity the glutamine reserves are depleted making glutamine intake critical to optimum performance. Mix 1 serving (5g) with 4-6 oz of your favourite beverage. 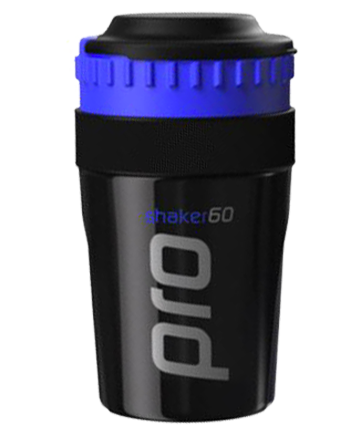 For optimal results take 1 serving before training, after training and before bed.